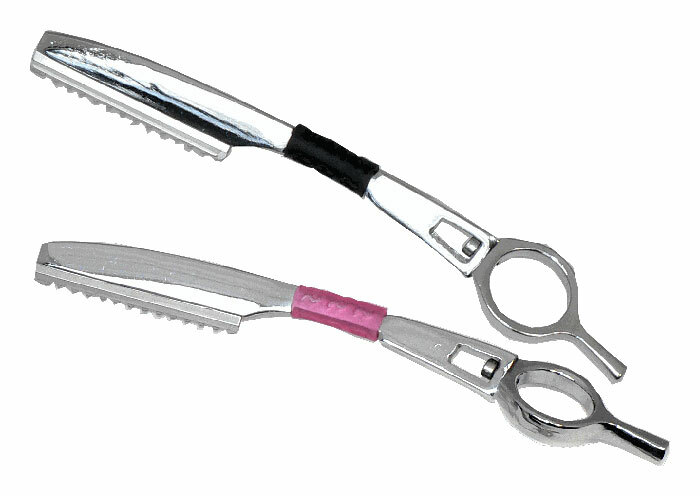 This is a swivel razor that makes it easy and comfortable to create razor cuts when cutting hair styles and hair fashions. This is an all metal razor with a rubber grip at the neck section which gives you a feeling of control while the twisting finger hole allows you the joy of freedom in your cut. Uses the two in one feather type blade with the guard build in. You receive one razor in your choice of pink or black.